What is Children’s Book Day? 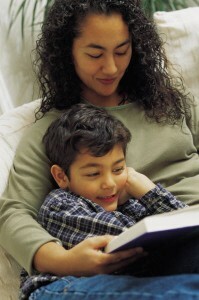 Today is El Día de los Niños/El Día de los Libros, a day for sharing the joys of reading with children across cultures. There are wonderful resources on the Día website for parents, children, teachers and librarians. (This website is in English.) There is a brochure (in English, Spanish and Chinese) recommending books for children from cultures around the world, which includes learn-to-read tips and other resources. Under the Celebramos tab, you’ll also find an interactive map to help you locate El Día de los Niños/Libros events in your area. This entry was posted in Reading and tagged Children's Book Day, el dia de los libros, el dia de los ninos, literacy by Vickie Bates. Bookmark the permalink. What a great idea! Children’s literature and the reading experience is powerful. I can’t remember much of what I read in the past year but I vividly recall favorite books of my childhood. I hope El Día de los Niños/El Día de los Libros is a great success.